detached house, 4 - 5 people, 3 room/s, 2 bedroom/s, 1 bathroom/s, approx. 93 m², 2 floor/s, year of construction 1875. Equipment: TV; DVD, stereo; internet access Wi-Fi (included); washing machine, dryer, iron/ironing board; electric heating; storage room (external access only). Furnishing: comfortable, tasteful, well-kept, with some antique furnishings, cotto floor, parquet floor. Bedroom 2: (floor 1): queen-size bed, single bed (0.70 m wide). Important information: recommended occupancy: 4 adults and 1 child(ren). Kitchen: Kitchen/ cooking equipment: 4 ceramic hobs, oven, microwave oven, dish-washer, refrigerator, freezer, coffee machine, water boiler, toaster. separate (ground floor). Living room: (ground floor): furniture suite, fireplace (only for decoration), exit to terrace. From the living room stairs to upper levels. Estate: (private use): approx. 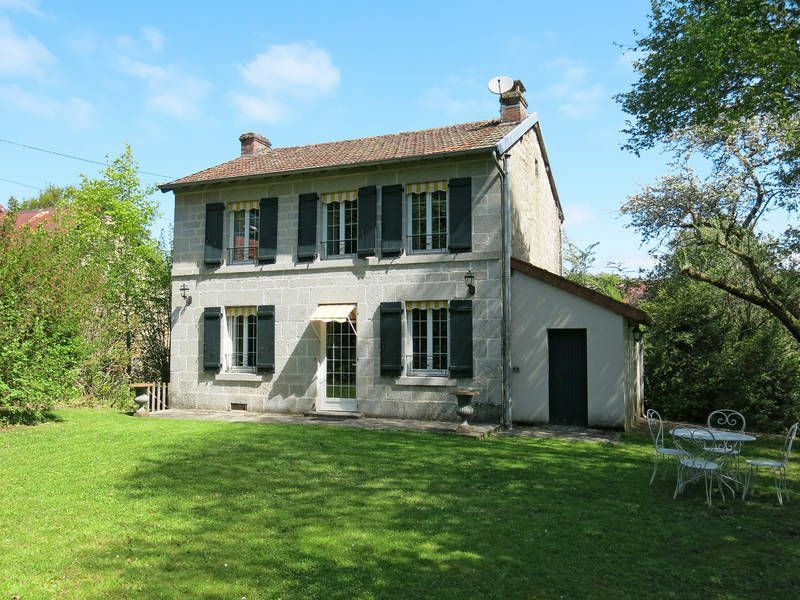 1500 m², partially self-contained (hedge), trees, garden, lawn. Outdoor facilities: (private use): terrace, barbecue. Pool: (private use): 9.5 x 4.0 m, 1.20 - 1.50 m deep, 18.05.19-28.09.19, secured by alarm system. Pool area: lawn for sunbathing, 5 deck chairs. Situation: in the hamlet La Chaize, rural. Beach/waters: Lake (bathing possibility) in approx. 10 km (Ahun). Lake (bathing possibility) in approx. 18 km (Etang de Courtille (Guéret)). Golf course: Bourganeuf (9-hole golf course) in approx. 18 km. Next village/town: Center Sardent in approx. 6 km. Guéret in approx. 23 km. Pontarion in approx. 7 km. Shopping: Next shopping possibility (Sardent) in approx. 6 km. Next supermarket (Ahun) in approx. 14 km. Das Haus ist schön eingerichtet. Leider teilweise mehr wie ein Ausstellungshaus als ein Ferienhaus; Glastisch, Metallstühle, viel aufgestellt und dekoriert was umfallen und kaputt gehen kann. In der ersten Woche war das Wetter nicht so toll und wir mussten im Haus die Heizung anmachen. Zweite Woche viel Sonne, angenehm kühles Haus und ein toller Pool. Insgesamt ein schöner Urlaub!